Kedar Jadhav has traditionally suffered from injuries and has thus been in and out of the team. However, his vast experience and the ability to pick up some vital wickets gave him the edge and was selected over Manish Pandey. Jadhav is viewed as a batting all-rounder who could up the scoring rate in the middle overs and rolls the arm over whenever there is a need for a wicket. His useful bowling contribution alone makes him part of the eleven, particularly in Indian conditions. 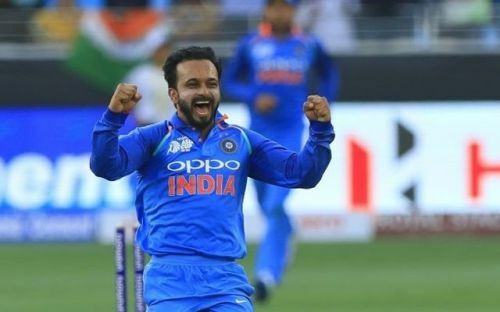 Kedar Jadhav has experience of playing in Australia but that's in "A" games and this will be an altogether different challenge to him. But his failure to convert starts to match winning ones have always in question and with large boundaries in Australia, his fitness may lead him down as he is not a big hitter of the ball. His silky touches won't fetch him runs as it does in India. It will be interesting to see if he gets to start in playing eleven but with India looking for a finisher, he might find a spot in the team for first ODI against Australia ahead of Dinesh Karthik due to his bowling skills.